Make your Plan A a reality! The focus of our work is mainly high-end residential, light commercial design and master planning, albeit our experience includes educational buildings as well. We like to see the built environment with our own current eyes, which means with a contemporary objective attitude. While we all carry the seeds of our past experiences, the culture and world in which we grew in, every time we stretch the importance of having a fresh, open approach to a new, unique need. As such, inspiration may well come from the lesson of history and nature around us, but also from the emotional power of an image from a movie, a novel, a trip and more importantly, from the psychological value that together we decided to endow a space with. Yuki’s design aesthetic is sleek, simple, and minimal design, influenced by her background of contemporary Japanese architecture. Founded in 2002, we are a residential building design firm serving the San Francisco Bay Area. We undertake residential projects ranging from interior remodels to additions to new construction. Regardless of the size or scope of the project, Hyland Design Group delivers an exceptionally smooth design process that exceeds our client’s expectations. The end result is a home that responds to its owner’s needs and desires and is reflected by its timeless design and natural flow. Throughout the years, our firm has expanded to include professionals with myriad skills and talents that enable us to provide a wide variety of design, draft, and coordination services. We are still a small but nimble team of expert listeners, creative innovators, direct communicators, and experienced managers. Collectively, we have over 70 years of diverse design, draft, and management experience. My love of Residential Architecture is what drove me at age 15 to pursue a career in Architecture. I visited open houses and model homes for fun on weekends and enjoyed all the imaginative ways families can create a home from a house. I began working internships for Bay Area firms at 16 years old, and continued on to study at Rhode Island School of Design. After receiving a Bachelor of Fine Arts and Bachelor of Architecture, I explored multiple market sectors while still doing residential work on the side. My goal was to make sure I had experienced everything before deciding Residential Architecture was my ultimate career direction. What I also gained from this path was experience and professionalism not often found in Residential Architecture. I have been a licensed Architect since 2007, and am licensed in the States of California and Georgia. I have been designing residential Architecture in the San Francisco Bay Area since 2013, and look forward to continuing to provide the highest level of professionalism, creativity and collaboration for my clients. We create human scale, contextual homes, immersed with equal measure in the personal and in the communal: Peaceful and fluid spaces that convey luxury without pretense. We approach aesthetics with a sense of respectful play, synthesizing the home's stylistic threads with the client's character and needs. Our goal is an integrative living space, both restful and compelling. 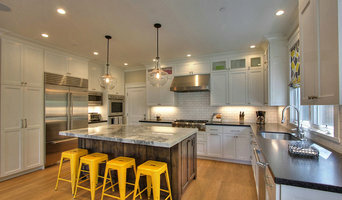 We provide home remodel and new construction design services throughout Northern California, primarily in the Bay Area. Please feel free to contact us if you'd like to discuss how we may assist you. 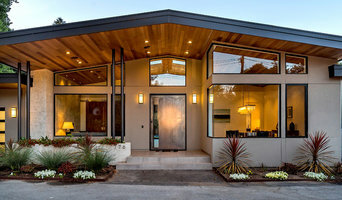 Bay Area's Experienced Architect - Best of Houzz! At Diebel and Company, we have been specializing in residential architecture since 1990. We listen carefully to our clients and strive to integrate your needs and dreams with your budget. We work with each of our clients to create a total home environment, both interior and exterior that is visually interesting and exciting as well as functional. We provide a range of residential architectural services to clients from complete architectural services for a new home to assistance with additions and remodels. We take the opportunity to work with you on such an important aspect of your life very seriously. One of the most enjoyable aspects of our work is that we are hired to create wonderful places for daily living. It's a very rewarding experience for both architect and client. How do I find the best San Carlos architect for my home design project? It is best to hire a home architect who will be involved in all phases of the design process, from the initial concept to the completed construction. The architect is often the first person you will hire for your project. If necessary, they might also help you select and hire California subcontractors, which can include the builders, engineers and landscaper. Interior architects are also involved in negotiating contracts for all involved participants. It is for these reasons that it is extremely important for you to have a good relationship with the San Carlos residential architect you hire. He or she can be the tie-breaking vote between you and the general contractor and can be your biggest advocate during the construction process. Different architecture firms in San Carlos, CA provide different services, so the scope of the work can span from pre-design environmental impact studies to selecting furniture and finishes, depending on what your specific needs are. It is very important to hire the right professional for the job. Remember that the most well-known or established designer might not provide the best architectural services for your needs. It all comes down to the individual project. Research and ask people whose work you like for recommendations. It's important to have somewhat of an idea of the style of house architecture that you prefer, as well as the amount you would like to spend. Residential architects in San Carlos, CA are natural problem solvers. They will assess the entire situation and help you to solve your problems too. Don't settle for a single company too early. Call and interview a few. Make sure that you feel like your personalities will mesh well and that you like their professional perspective. Find a home architect in San Carlos, CA on Houzz. Narrow your search in the Professionals section of the website to San Carlos architects. You may also look through photos of California projects to find interior architects and building designers who have worked on a project similar to yours.